Good morning everyone! Another rainy day is in the works for us, and unfortunately, rain will be the highlight of our week. •Today and Tomorrow: The first wave of rain will move into the area which will increase rain chances throughout the day. Tomorrow will be the only day that we see a real break in the rain as mostly cloudy conditions are expected. •Tuesday-Saturday: Several waves of rain will move through the area, with the most torrential rain occurring during the Friday Night and Saturday time frame. Anyone that lives in flood-prone areas should monitor the latest forecast, as flooding concerns are growing for the week ahead. I have updated the most recent forecasted rainfall amounts below for the next seven days, and it doesn’t look good at all. 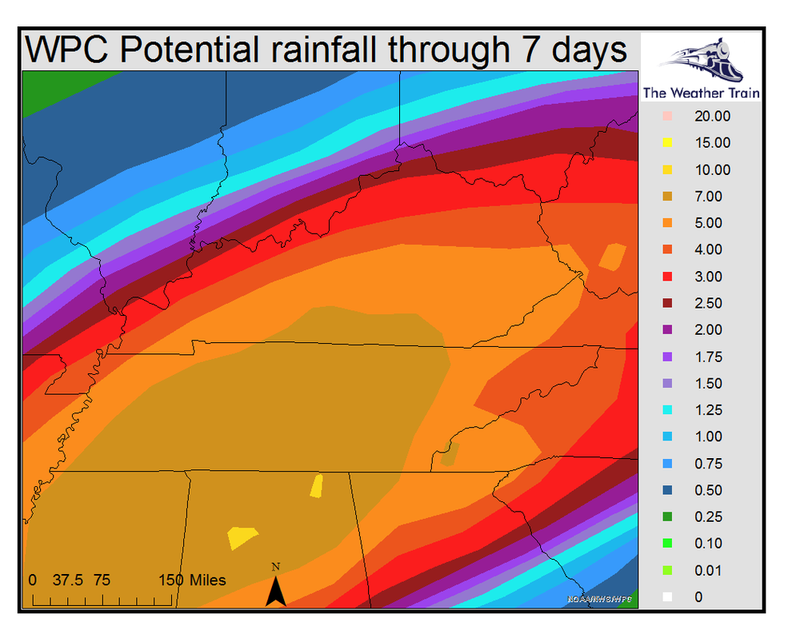 The latest data this morning is continuing the idea that five to seven inches of rain could fall over the next seven days. Remember, since flooding is a risk in our area this week, please monitor the potential signs that come with flooding and have a plan of action if flooding starts to occur. Also, remember to never drive through flooded roadways, you never know how deep the water is or if the road has been washed away or not. Be sure to stay tuned to all our latest forecasts as we’ll keep you all updated with the latest!